Better than surgery or botox! The BIO Cosmetic/Aesthetic System is amazing! I love this – the BIO Cosmetic/Aesthetic system is amazing! I sit a lot at work and don’t exercise. The change after the first treatment held – no backpedaling. Can’t wait to see how I look in another week! Patient is a 69 yr old female with left sided hip replacement. Due to complications we could not work with patient until day five. Patient was off pain meds two days after we started the Rapid Recovery treatments. The following are the pictures from the incision healing. What a difference four days can make. Off medication in day and a half, back to work in week and a half. I was fortunate to have Tina there at my hospital discharge from my hysterectomy, to ensure my comfort on my ride home, and to have things ready for my home coming. This was a great comfort to my mother and friend who were caring for me. She had a a remote elevating pillow that was heaven sent, an electron therapy pad, and used the cold laser and sound therapy. I was off medication in a day and a half, and was back to work in a week and a half. As a single mom, getting back to work ASAP was very important. My doctor was amazed. Thank you Tina for your superior care, and the peace of mind to have a Registered Nurse present. Each day, my wife was stronger and in less pain. With the technology that Tina provided, my wife was able to heal and move around more quickly enabling her to care for our young child and for me to get back to work faster than expected. Each day, my wife was stronger and in less pain. Tina provided tools for rapid healing and peace of mind to us and our household. The services that Tina provided after my surgery were unparalleled. Tina came to our home and ensured my comfort, provided a remote control elevating pillow, sound therapy, an electron therapy pad and cold laser treatments. My healing occurred faster than I expected. Tina’s system reduced pain and swelling, allowing me to move around and be off of the narcotics and manage with over the counter pain medicine. I was able to care for our young child and my husband was able to return to work. At my post-operative appointment, the doctor was stunned at how well I could move around and how quickly my body was healing. In hindsight, I wish I had utilized Tina for the ride home from the hospital, when the pain was unbearable. I would highly recommend Tina for anyone who is recovering from surgery. I had rotator cuff surgery and was in to see Tina the next day. After my first treatment I was off pain medication. By my two week check up I was only wearing my sling a few hours a day. My doctor was surprised at how quickly I healed, and the fact that I was able to get off the pain medication in a day and a half. After five visits with Tina I was back swimming. I am so grateful! By the third treatment I had the first good night's sleep in several months. 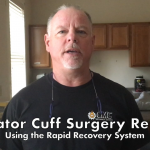 I have had the opportunity to work with the Rapid Recovery System after a rotator cuff surgery. I had been a month in a sling and I was going crazy when I met a prior patient of Tina’s, who used her system and recovered very quickly. After the first treatment, I was able to lift my arm for the first time, by the second treatment, I did not have to wear my sling, and by the third treatment I had the first good night’s sleep in several months. I highly recommend this to anyone who cannot sit still and wait, this is very proactive. Dear Tina, Just a little note to say a great big thank you for all you have done the past few years. You are always sharing your wisdom, humor, and healing, and let’s not forget all of your amazing equipment, electron therapy, cold laser and all. You truly have been a blessing to me and I thank you from the bottom of my heart. I have enjoyed many massage treatments in a variety of settings. Over the past 15 years the work I’ve had done by Tina is by far the best. She is not only a massage therapist but a registered nurse as well. Her techniques and use of technology are grounded in science and are medically based. While treatment from Tina is great for pampering and relaxation, I would highly recommend Tina’s work for the treatment of injuries, pain relief, and anything that needs healing. Tina has an appetite and aptitude for the holistic view of life and how a person’s health is a reflection on their own perception, belief system and behaviors. By bringing awareness to one’s health, technology and the power of the human body to heal, she has the tools to help anyone – who desires it – to heal themselves. No longer suffer from the TMJ or the pain of fibromyalgia. Tina was my therapist during a very stressful time in my life. I was undergoing many extraordinary life changes and was suffering with severe TMJ as well as debilitating pain from fibromyalgia. When I started seeing Tina – I was intending to go once a week, just to see if massage therapy could alleviate the pain. She determined that more intensive therapy was needed so I started seeing her three to four times a week. Within a few weeks, the pain had subsided and I was able to cut back to once a week – until it was gone entirely. And, I didn’t have to take the drugs my doctor had suggested. Tina has the ability to blend her medical and massage therapeutic techniques together to come up with a “whole” holistic solution. I no longer suffer from the TMJ or the pain of fibromyalgia. Tina is wonderful. If you have neck and shoulder pain, she can work out the knots! Tina is excellent at what she does. She takes the time and discusses issues with you prior to any hands on treatment. She took care of a problem I was having in my left trapezius area for very long time. No one could seem to get that done. I found Tina in the phone book probably ten years ago. We talked about what was going on, not only with the part of my body I needed help on, but with what was going on with me personally that may be causing that issue. She worked on my problem area doing deep tissue work, and I’ve had no recurrence of symptoms. I also got treatment from Tina post-operatively. I had a cervical discectomy and fusion on 10/31/12. She did cold laser therapy on the surgical site, as well as using the electron therapy pad, and the sound frequency therapy, which are painless, but amazingly effective. I am thrilled by how quickly I have healed due to this treatment. My husband sought treatment from her several years ago for neck and trapezius issues. My son went to her for a regular massage treatment. They both absolutely loved her. I appreciate that she continues her education and is knowledgable, and using, the most current treatment methods. I am so confident in Tina’s abilities that I would not hesitate to send anyone to see her. Tina is a true healthcare provider, bridging the gap between western medicine and holistic healing. I have returned to her and received relief immediately, as well as a little emotional boost when I needed it. She is very professional and a seeker of knowledge to increase her abilities to analyze your needs and deliver the best therapy for you. Tina is incredible, I was having severe shoulder pain and in one visit it feels so much better. She used her cold laser treatment and electron therapy pad. I can not believe the reduction in pain, her techniques are superb. Thanks so much! I met Tina through my mother and sister. 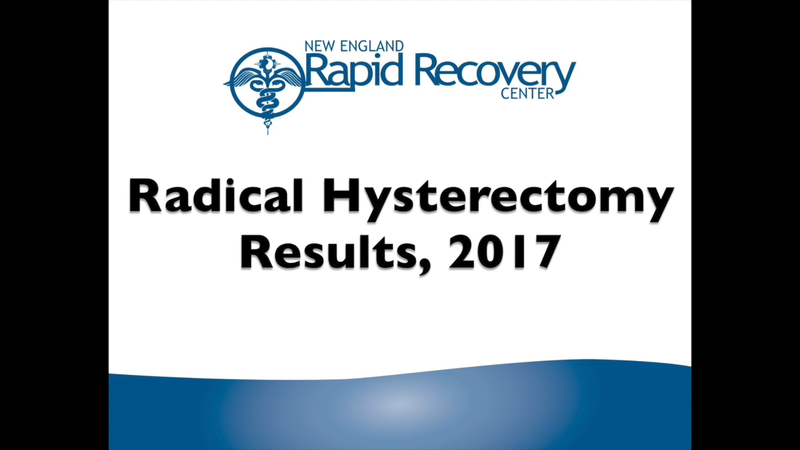 I am a physician assistant and my 76 year old mother decided to try New England Rapid Recovery after she had a bilateral breast reduction surgery. My mom wanted to try the program because my sister had great results a year earlier with a recovery from a myomectomy. I was thoroughly impressed with the Rapid Recovery results with my mother. The bruising was substantially gone within one week. My mother was able to stop pain medication within about 4 days. I was surprised at how quickly my mother was able to get up and start to care for herself. I had planned on helping my mother recover for two weeks and she really only needed me for one week. Tina also helped support my mother through this process with her caring attitude and willingness to come the day we were home from surgery. 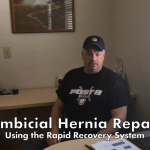 Tina and her services truly live up to the name of her program – New England Rapid Recovery.